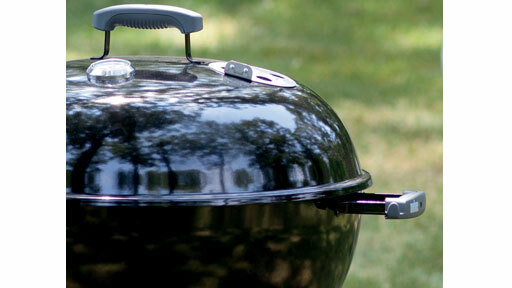 Why does your Weber charcoal grill look so great year after year, with no rust? Easy. A porcelain-enamel coating is fired onto the bowl and lid at 1500°F. In other words, the finish is fused to the steel. Since it isn’t a painted surface, paint cannot flake off the lid interior. If you see flaking, it is a buildup of smoke and grease and can be cleaned off with soap and water. What’s the trick to getting the perfect inside temperature? First of all, the circular angle of the domed lid allows for perfect convection. 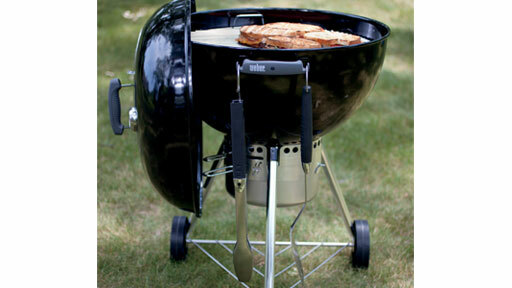 And secondly, rust-resistant dampers allow you to easily control the airflow into and out of the grill. Opening the dampers will allow the heat to build, while closing the dampers will cause the fire to die out. Keeping the damper in the middle helps maintain a moderate constant cooking temperature necessary for a turkey, for example, when charcoal is added each hour. Where do you pile your charcoal? On the heavy-duty charcoal grate, of course. 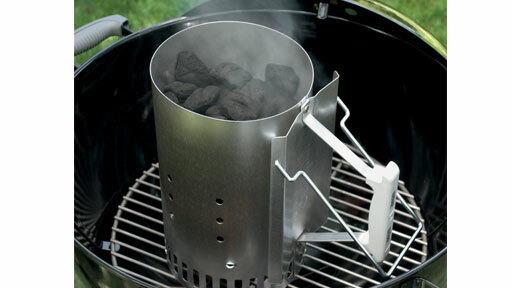 To make it easy, set the Rapidfire® Chimney Starter directly on the grate filled with charcoal. Place either crumpled up newspaper or lighter cubes in the bottom under the chimney starter and light. In 20 minutes you’ll have ashed-over charcoal ready to go. 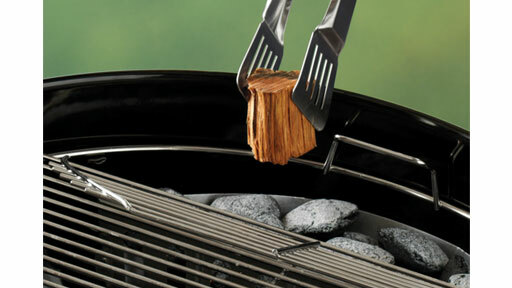 Place the charcoal directly onto the charcoal grate for direct cooking or in the Char-Basket™ Charcoal Fuel Holders for indirect cooking, and preheat your grill for 10 to 15 minutes before adding your food. When is a cooking grate more than a cooking grate? 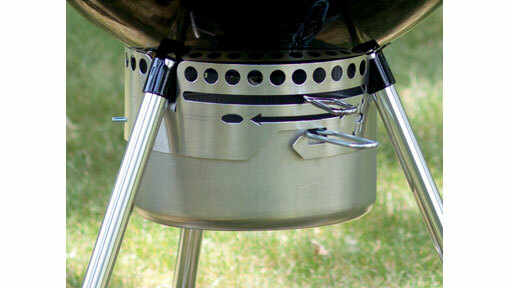 When it has hinged sides to let you add or adjust charcoal without lifting the grate or moving your food. The cooking grate is made of plated steel. Easy to clean, lots of cooking area, and provides years of use. There are more features, of course, but the core of the Weber OGS is durability, longevity, and ease of use so that year after year you can depend on your Weber charcoal kettle.